Disclaim: I'm not a rep for Illumicrate or have any connection with it. I'm promoting it of my own free will. 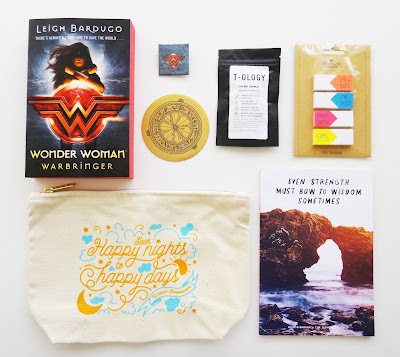 Yesterday, I received my second Illumicrate -after a long calls to my country's delivery mail company who had sent it to only God knows where- and since it is such a fabulous and surprising box, I decided to share the August's box unboxing here on my blog. What did I discover inside this little box full of surprises? 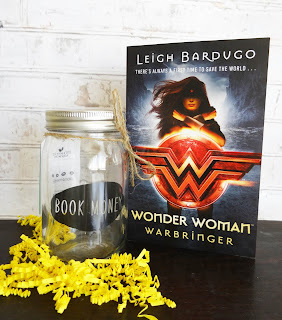 Wonder Woman: Warbringer by Leigh Bardugo, exclusive edition for Illumicrate with red sprayed edges, and an exclusive pin. The Red Church tea by T-ology. Shakespeare zip bag, artwork by Miss Phi. 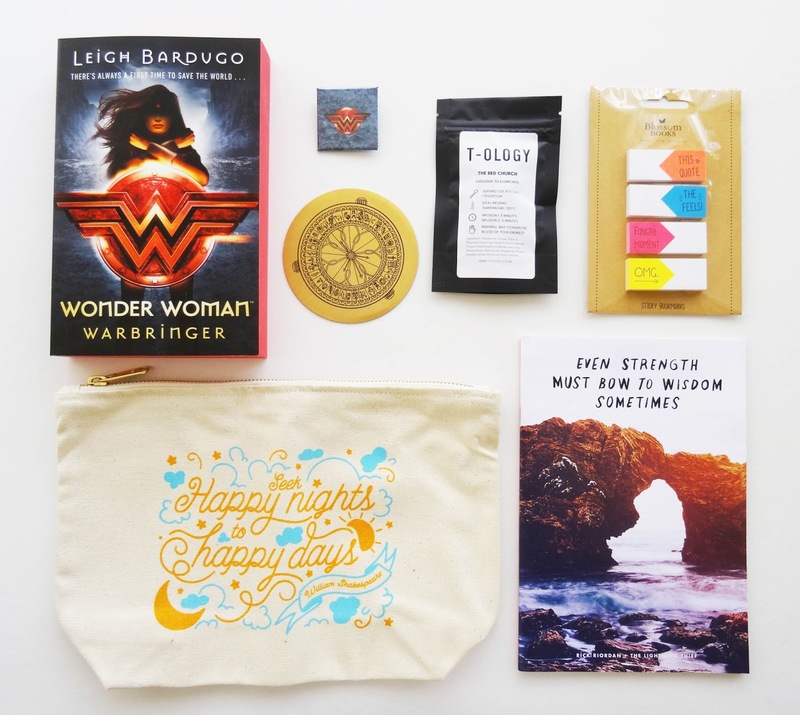 Wisdom journal, desgined by Hey Atlas Creative. The quote is from The Lightning Thief by Rick Riordan. Alethiometer Coaster, artwork by Hannah Hitchman Art. Sticky bookmarks and book money jar from Blossom Books. Three bookmarks (Ringer, After the Fire and The Bear and the Nightingale). 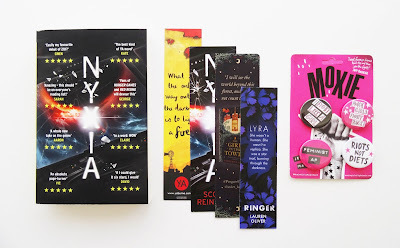 An exclusive advanced reader copy of Nyxia by Scott Reintgen with bookmark. I confess I never heard of this book, but it sounds so good that I've do dive into it ASAP. Illumicrate is an amazing box. If you have the opportunity to order one, you should because its content is always so special -it's the third time an ARC has been sent and I'm always very excited to find those. Thank you. I usually visit NetGalley. And I do request some ARCs over there. But, sadly, the most hyped books you can't request because of the location. I think it's really unfair since it seems we are second rate readers because we live across the sea.